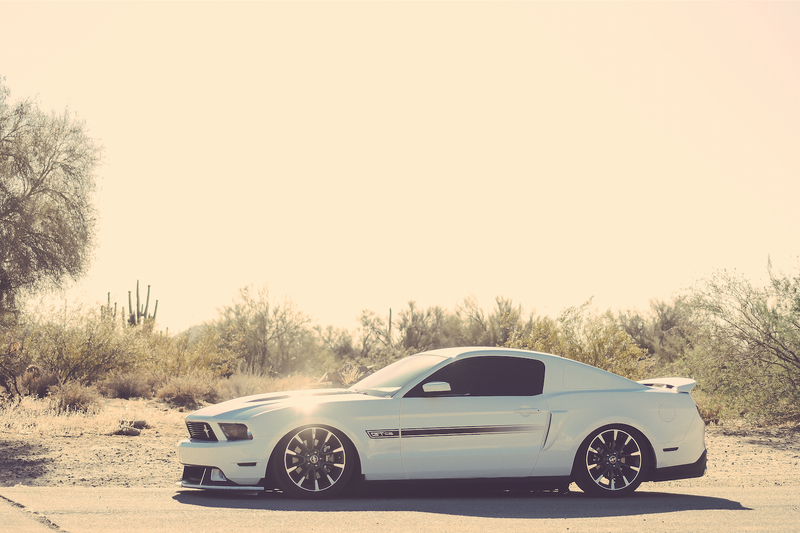 Rachel Potter shows off her awesome 2012 Ford Mustang GT/CS 5.0 and tells us about her life on air. Years have passed, and now Rachel has a ‘Stang all her own. Not only that, but her ‘12 Mustang GT/CS 5.0 has been running on Air Lift’s digital suspension kit for ’05 to ’14 Mustangs for about a month and a half. “It just rides better,” she states simply, and goes on to explain the notable difference she feels while driving her ‘Stang on air: the smoother ride, the adjustability, minimized roll and sway…the works. Before switching to Air Lift, she was riding on OEM Racing suspension, and noted that it was too static and stiff for her liking. 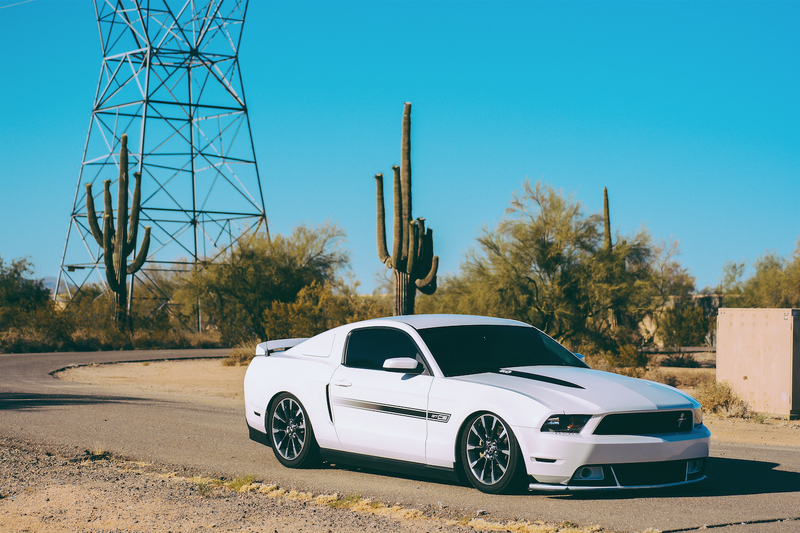 Out in Arizona, the roads get rough, and Rachel even mentions her crazy driveway…she needed a reliable, readily customizable way to enjoy a lowered car. “I talked to a few Air Lift guys at Mustang Week,” Rachel says, when asked what brought her to Air Lift Performance, “I talked to Jeremy Hart for four days and didn’t get sick of him.” Ultimately, Rachel describes how the engaged, knowledgeable Air Lift employees led her to choose Air Lift above other air spring suspension companies—especially once she saw an air-lifted car in action on the track. When asked about any upcoming modifications, Rachel discusses the prospect of building a naturally aspirated car, and hopes to go wild with the suspension, in general.